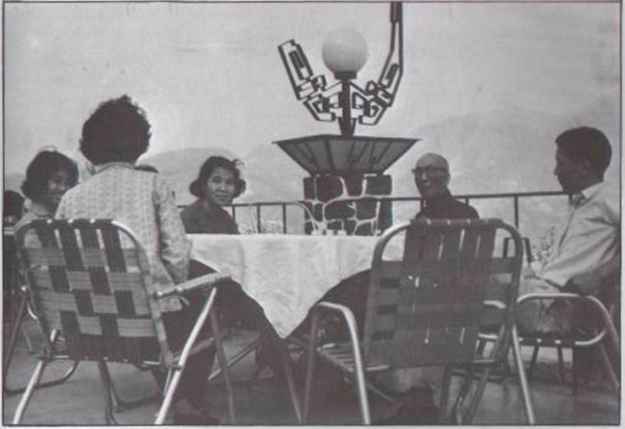 ABOVE: Grandmaster Yip Man and his second son, daughter (middle), daughter-in-law (left), and his friends in a countryside restaurant somewhere in Hong Kong. 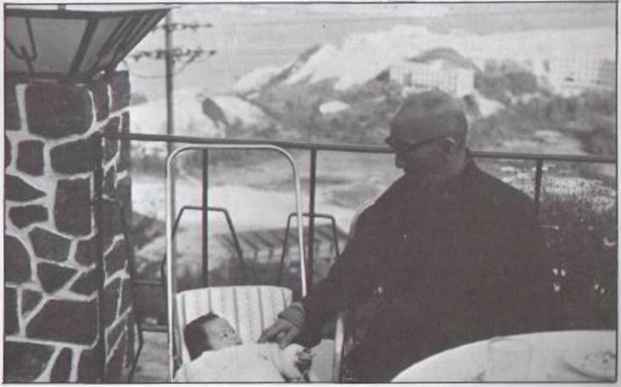 BELOW: Grandmaster Yip and his grandson, son of his second son Yip Ching. him to step back to mind his own business instead of intervening their quarrel. 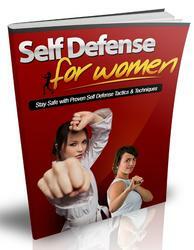 As he shouted at Yip Man, he drew his pistol and pointed it at Yip Man. Yip Man realized that the patrolman was losing his sense, and that drawing out a pistol in a busy street was a dangerous move. 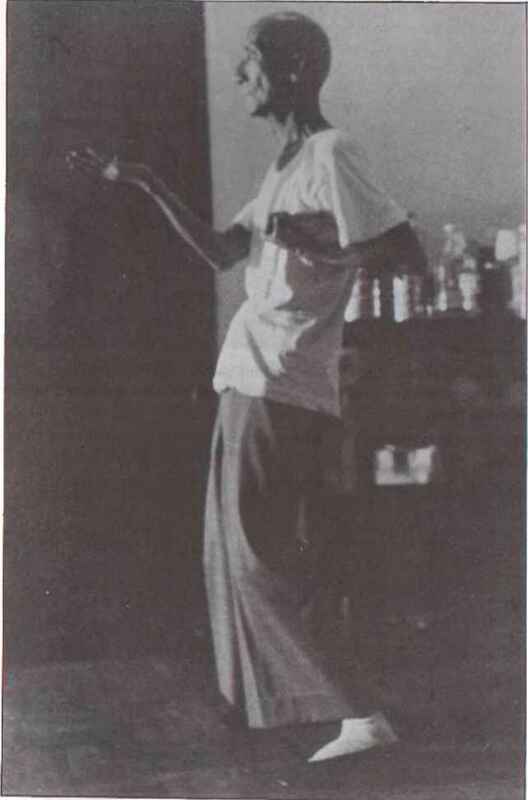 To eliminate the danger Yip Man rushed forward to stop the patrolman from pointing the pistol at anyone. He got hold of the bullet-chambers of the pistol, meaning to stop the man from mis-firing. 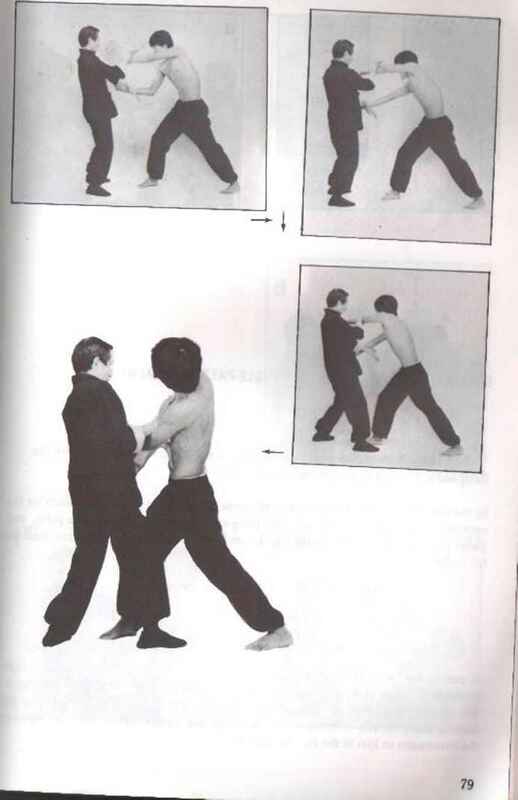 The man struggled to free his pistol from Yip Man's grip. Yip Man's fingers were so powerful that after a few pulls and twists the bullet-chambers of the pistol broke off, to the astonishment of the huge crowd of on-lookers.